Last fall, I spent a weekend near Las Cruces, New Mexico and had a chance to wander through the foothills of the Organ Mountains. I took a few photographs at the abandoned Boyd’s Sanatorium around sunset before I headed back to the car. 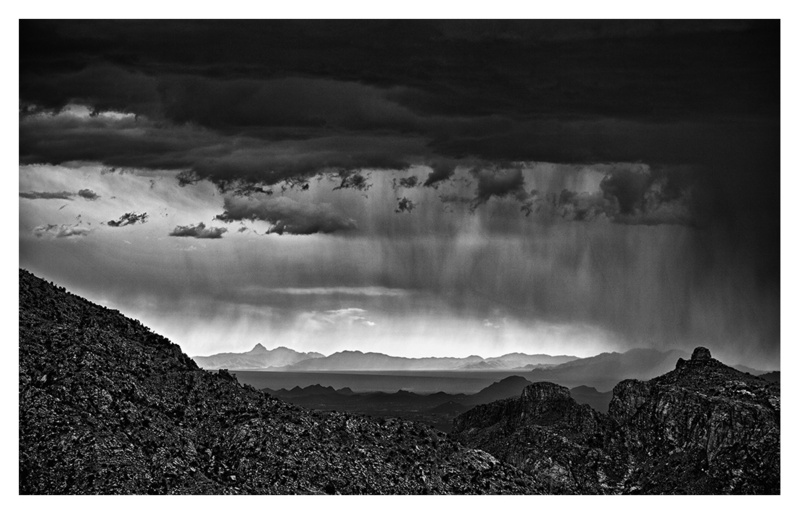 After spending the day climbing near the top of the Catalinas, I stopped at the Seven Cataracts pullout along the Catalina Highway to take this photograph of a monsoon storm over Tucson.